Legislation allowing parents in Wisconsin to choose when their kids begin to hunt was approved by a bipartisan vote of the Wisconsin Assembly by a vote of 57-32. Assembly Bill 455, sponsored by Assemblyman Rob Stafsholt (R-New Richmond), would also eliminate the requirement that there can be only one hunting implement between a mentor and an apprentice. Under current law, Wisconsin prohibits people under the age of 10 to participate in mentored hunting, a stark contrast to the 40 other states that allow parents to decide the age that their kids begin to hunt. In addition, only three other states prohibit the mentor from carrying a firearm as well as the apprentice. Safety research has demonstrated that these two restrictions are completely unnecessary, and actually hurt efforts to recruit new hunters. All of Wisconsin’s neighboring states allow parents to make these decisions. Assembly Bill 455 is part of the national Families Afield effort, which is led by the Sportsmen’s Alliance, National Shooting Sports Foundation, National Wild Turkey Federation, National Rifle Association and the Congressional Sportsmen’s Foundation. In Wisconsin, the effort is supported by the Wisconsin Bear Hunters Association, Wisconsin Bowhunters Association, Wisconsin State Chapter of the National Wild Turkey Federation and Wisconsin Chapters of Safari Club International. The Senate Committee on Sporting Heritage Mining and Forestry has already passed an identical bill (Senate Bill 362) on Oct. 5, which awaits a vote by the full Senate. That vote could come as early as next week. About the Sportsmen’s Alliance: The Sportsmen’s Alliance protects and defends America’s wildlife conservation programs and the pursuits – hunting, fishing and trapping – that generate the money to pay for them. 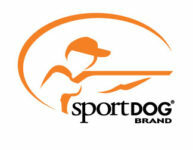 Sportsmen’s Alliance Foundation is responsible for public education, legal defense and research. Its mission is accomplished through several distinct programs coordinated to provide the most complete defense possible. Stay connected to Sportsmen’s Alliance: Online, Facebook, Twitter and Instagram.